Flip It, Turn It, 'Bop It!' The Traditional Marketing/Sales Funnel Is Out, So What Really Works? If you have kids, you may know the Bop It! game. If you don't... picture a portable gaming unit (a joystick of sorts) that tests your reaction time when performing a series of commands. Those commands are in random order, and players need to respond correctly and as quickly as possible, or they're out of the game. You're asking, What exactly does this have to do with marketing? Well, Bop It! reminds me of the many new go-to-market (GTM) strategies that have emerged because of the need to move away from the antiquated linear marketing and sales funnel, as originally defined by William W. Townsend—soon to celebrate its 95th birthday. Sales and marketing teams are trying all different approaches, but whether they flip the funnel, turn it, or "bop it" (the choice of my nine-year-old), the traditional funnel doesn't properly reflect how most B2B GTM's run. The main issue? It doesn't encompass the way buyers behave, the way purchasing decisions are made, or the way customer engagement should be designed. Buying cycles for today's complex global enterprises are more multidimensional and spiral-like, with a continuum of purchasing decisions made over the customer's lifecycle. Typically, the initial sale is just the beginning: 80+% of organizational revenue actually comes later. That's because in today's digital marketplace, where more is sold "as a service," companies can "try and buy," thus leaving most of their lifetime value on the table for future purchases. Particularly in the case of software, businesses can purchase fewer licenses and test-drive a product or service without making a long term or expensive commitment. Many industries are shifting to a Cloud-like services model that allows this. Moreover, with everything from human interactions to business transactions being measurable, the "trial model" empowers buyers to require tangible ROI before expanding. It's not bad news, though. There is a way to win in this environment. David Brutman is the chief product officer and a co-founder of Folloze, an ABM engagement platform. 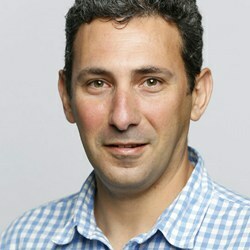 Previously, David was a global senior director of marketing at SAP.